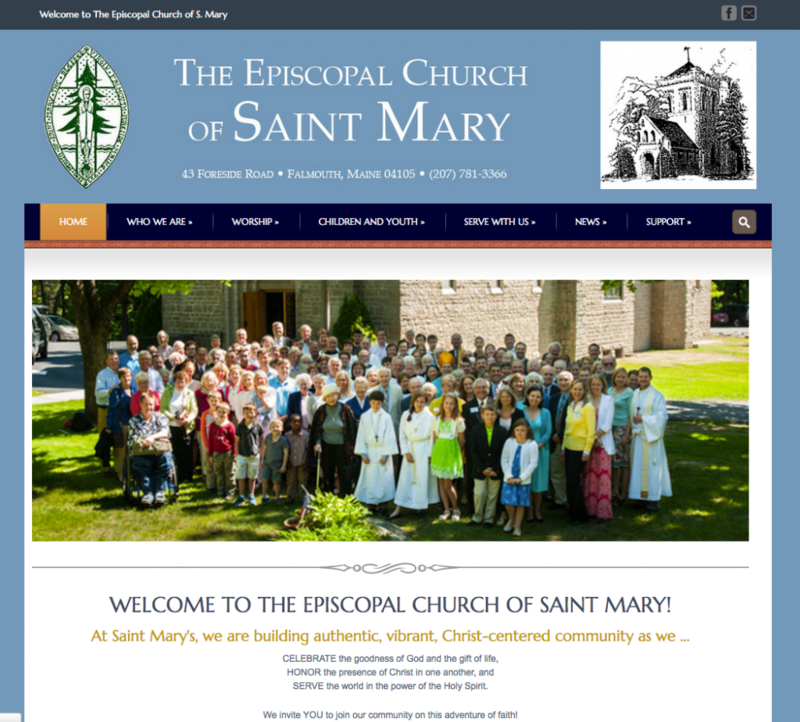 We redesigned the website for Saint Mary Episcopal Church in Falmouth using a Wordpress template modified to the church's liking. The template includes a number of features specifically designed for a church site, including the ability to post sermons, both as text and audio files. The site also allows the church post updates on their activities, incorporating their calendar and monthly newsletter, both in PDF and e-news formats.